Gustav Piekut was born in 1995 in Denmark and started playing the piano at the age of six. At age 12, he had his orchestral debut with the Symphony Orchestra of Southern Jutland and two years later had his first series of solo recitals in different parts of Denmark. Since then, he has been appearing with orchestras such as The Danish Radio Symphony, The Lithuanian National Orchestra, The Kazakh National Orchestra and many others and has played in halls including the Laeiszhalle, Hamburg; the Radio Symphony Hall, Copenhagen; the Tivoli Concert Hall, Copenhagen; the National Concert Hall, Dublin, and many others. Gustav Piekut is a three-times 1st Prize winner of the Danish national piano competition “Steinway Festival” (2008, 2010 and 2012) as well as a prize winner in international competitions including “Astana Piano Passion”, Kazakhstan (2nd Prize, 2013), “Music Without Limits”, Lithuania (Grand Prix, 2010) and others. 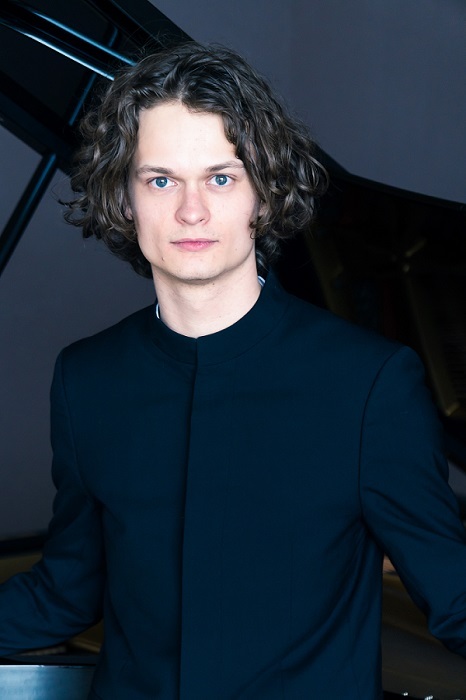 In May 2015, he was the youngest semifinalist and winner of the Bridget Doolan Prize for the best interpretation of a work by Mozart in the Dublin International Piano Competition, and in February 2016, he was awarded the “Golden Parnassus”, the highest prize, at the International Piano Forum in Sanok, Poland. In March 2017, he won the 2nd Prize as well as all special prizes (Audience Prize, Carl Nielsen Prize, EMCY Prize) at Aarhus International Piano Competition in Denmark. He has received numerous grants from private organizations, one of the most recent being a Steinway & Sons grand piano given to him for 5 years, provided by the Augustinus Foundation. Gustav Piekut is a stipendiate of the German “Studienstiftung”. Gustav Piekut studies at the Berlin University of Arts with Prof. Klaus Hellwig, and until 2013, he was a student of Martin Lysholm Jepsen at “Gradus” in Aarhus, Denmark. If you are interested in working with Gustav, please get in touch with the EMCY Office. F. Chopin, Nocturne in C-sharp minor, op. posth.